We welcome you and your child to our practice. Our office represents a new experience for you and your child. Along with the American Academy of Pediatric Dentistry, we recommend that the first dental examination be by 12 months of age. Many problems, which might develop otherwise, may be prevented. We have created our Best Care program because Cavities at an early age is not uncommon, and the earlier the dental visit, the earlier prevention can begin. In much the same way your Pediatrician is trying to give your child the best possible start physically in life, we feel the same way about the oral health. Early examination and counseling is the best way to ensure your child gets the best possible dental start which will hopefully form healthy habits into adulthood. 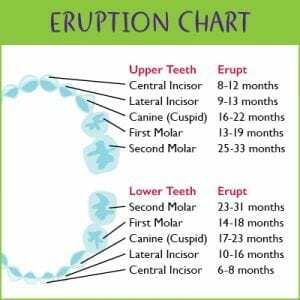 “Baby teeth” (primary teeth) are just as important as permanent teeth for chewing, speaking, and appearance. In addition, the primary teeth hold the space in the jaws for the permanent teeth. Both primary and permanent teeth help give the face its shape and form. These teeth can develop decay and infection in the same manner as adult teeth resulting in pain. If lost prematurely, nearby teeth can tip or move into the vacant space. This can cause space problems for the adult teeth, which may require orthodontic treatment to correct. So, let’s keep those “baby teeth” healthy! We look forward to your office visit and getting to know your family.